The government is making plans to stockpile vital blood products and medicines in case of a no-deal Brexit, the new health secretary has said. Matthew Hancock admitted he had already met with industry leaders to discuss building up NHS reserves of vaccinations and other medical supplies if Britain crashes out of the European Union without a deal. His comments came after Dominic Raab, the new Brexit secretary, finally confirmed preparations were being made to stockpile food, as ministers ramp up planning in case the negotiations fail. Theresa May told MPs last week that consumers and companies will be sent technical notices over the summer to help them prepare for a no-deal Brexit, amid pressure from Eurosceptics to strengthen Britain's hand in talks by gearing up to walk away. However the warnings provoked Brexiteer fury, with one Tory Eurosceptic accusing the health secretary of "weaponising the no-deal preparations" amid efforts to win support for the prime minister's Brexit vision. Mr Hancock told the Commons health committee: "We are seeking to avoid a no-deal Brexit, I am confident that it can be avoided. But any responsible government needs to prepare for a range of outcomes, including the unlikely scenario of no deal. "Since I have arrived in the department, I've asked this work to accelerate and I've met with industry leaders to discuss it. "We are working right across government to ensure that the health sector and the industry are prepared and that people's health will be safeguarded in the event of a no-deal Brexit. "This includes the chain of medical supplies, vaccines, medical devices, clinical consumables, blood products. And I have asked the department to work up options for stockpiling by industry. He admitted there was a "cost implication", adding: "We are also focusing on the importance of a continuous supply of medicines that have a short shelf life - so some of the medicines most difficult to provide in a no-deal scenario where there is difficult access through ports will need to be flown in." Shadow health minister Justin Madders blamed the government's "chaotic handling" of Brexit for the news and demanded urgent reassurances for patients that they would not be left without treatment. "This is the terrifying reality of this Government's failure to prioritise the NHS in the Brexit negotiations," he said. "NHS patients and their families need urgent reassurances from ministers about how they're going to avoid this doomsday scenario." Sarah Wollaston, chair of the health committee, called for more clarity about the government's plans. 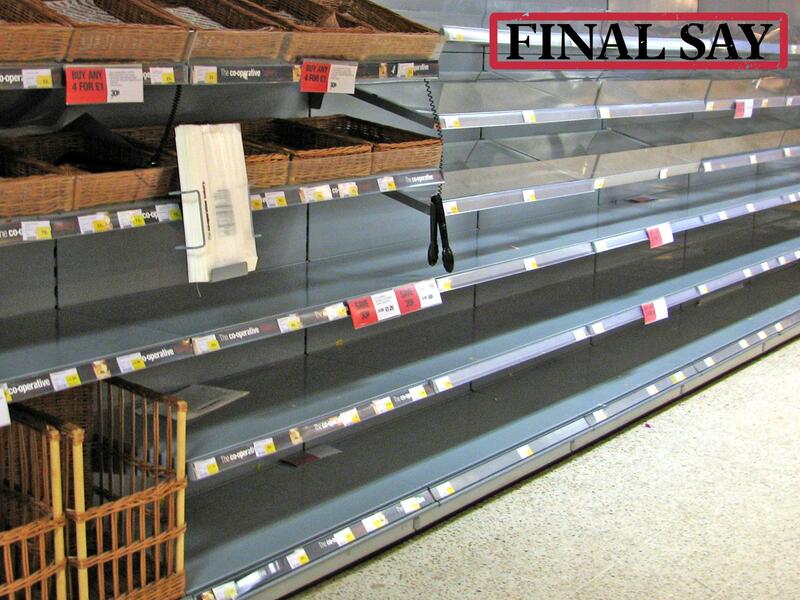 The Tory MP told Newsnight: "It's not just about stockpiling here, there are some products that can't be stockpiled. "Around 700,000 diagnostic tests every year in the NHS require medical radio-isotopes but these have very short shelf-lives, they can't be stockpiled and they aren't manufactured here." Niall Dickson, co-chair of the Brexit Health Alliance, a group of NHS, industry and public health groups, said the government was right to plan for the worst but it needed to inform the health service over the scale of the challenge. He said: "We may be able to accept delays for some goods crossing borders, but that is simply not acceptable for medicines and other materials on which patients rely every day. "Whatever happens in the negotiations, there is an absolute requirement on all those in office to make sure that patients continue to receive the medicines and the treatment they need."